Originally this was just going to be a short note about this curious term I’ve become used to using and relating the anecdote of when I remembered hearing it, and therefore, where I learned it, because it’s a good word. I like it. 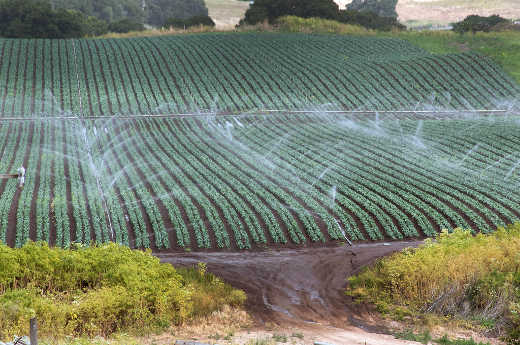 The notion of Hyperirrigation is the idea that it’s something that encourages something that doesn’t need it. It’s like watering kudzu, or fertilising bamboo in the hopes it’ll grow even faster, plants that themselves do not need that sort of encouragement (in the environments I’m familiar with them). It’s a word I thought I learned from Christopher Hitchens, describing his view on American Objectivism – that it was a hyperirrigation of the cultural attitude towards selfishness. I went to find the quote so I could put it in a neat little sconce and share it and appreciate just the word and its contributary nature as an idea while I was sharing it. You know, removing from the totality of Christopher Hitchens, a man who was pro-Iraq invasion and thought Margaret Thatcher was hot, and instead just showing the interesting word he played with and the idea he used it to express. Because even jerks can use words well (and indeed, understanding the wholeness of the jerks who do is a useful tool for understanding people). And then I went looking for the quote. I did find something similar, but it lacks the word. Straight up, I don’t know where I learned this word. What’s worse, is that looking for it, it seems more of a medical term as it relates to nasal irrigation, which is interesting but you don’t want to do an unfiltered google image search for it, trust you me. This puts me in a strange quandrary – because if I didn’t learn this quote from Hitchens as I thought I did, did I invent it? Surely not. And thus, I share this thought with you. I’m sure as soon as this goes up, someone will happily tell me where they heard it, and it’ll all be solved.